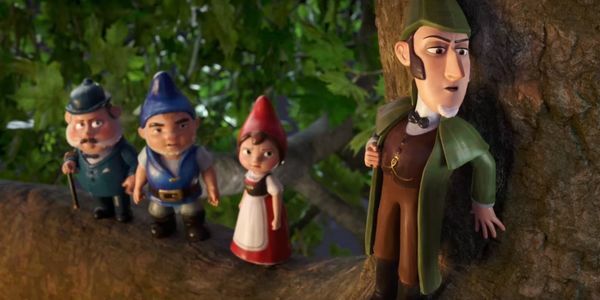 Sherlock Gnomes, directed by John Stevenson, tries too hard but does too little, in a film that’s more concerned with referencing better movies than doing its own thing. 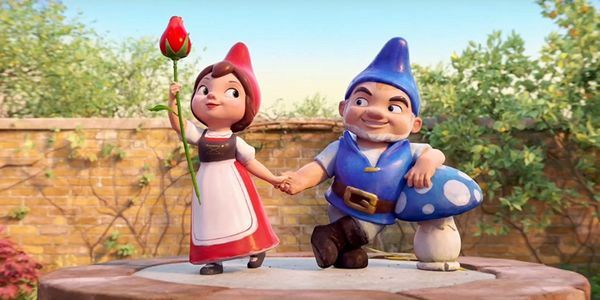 This mediocre sequel to the mildly entertaining Gnomeo and Juliet suffers due to tired writing that loses sight of what made the original good. The original story succeeded due to its high concept simplicity. The plot: a child-friendly death-free retelling of Romeo and Juliet told through two feuding gardens and their gnomes. The story was nearly identical to the original, with a few funny differences. In contrast, the writers of this film have invented a convoluted plot line that involves a cross- a double cross-and a pie shaped mascot which wants to crush all of London’s gnomes for the sake of spiting his nemesis Sherlock Gnomes. Another poor decision by the writers was to change the location from the quaint, confined garden setting, to the sprawling expanse of London. The insular nature of the story line meant that the gardens- and their respective owners- became a distinct character in the story line. In contrast, Gnomeo and Juliet are constantly on the move, wandering all over London. The charming small scale of the original is lost. 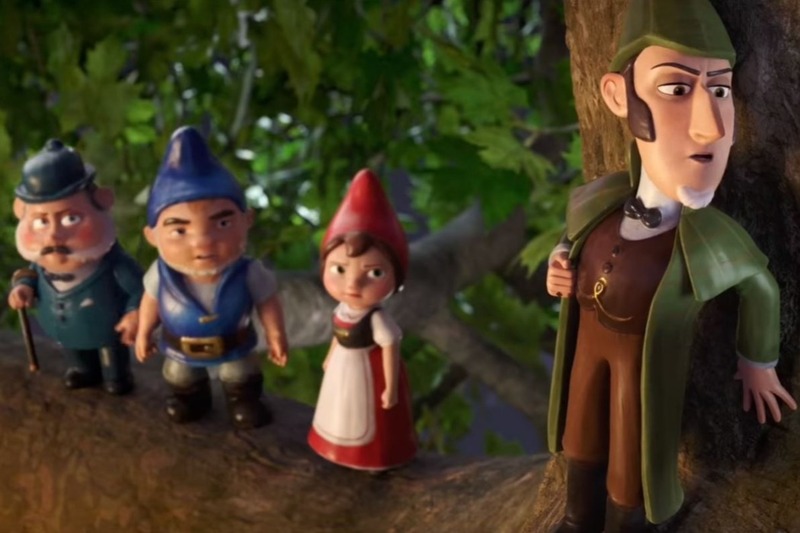 A large part of the film’s conflict revolves around relationship tension between Emily Blunt’s Juliet and James McAvoy’s Gnomeo, because of their recent move to London. This tension doesn’t feel earned and we are given no real reason to believe that the previously idyllic marriage has suddenly and rapidly deteriorated because of a change in location. Sherlock Holmes holds the Guinness world record as the most portrayed movie character in history. More than 70 actors have portrayed Holmes in around 200 films, not to mention some fantastic television and theatrical adaptions. He has featured in films, theatre productions and television shows that are all substantially better than Sherlock Gnomes. Considering the significant number of fantastic entries in the Holmes pantheon, it is almost embarrassing for a film so mediocre to attempt to join the club. While the characters of Sherlock and Watson are familiar, the story itself is not. The story lacks the audience interest and familiarity of Gnomeo and Juliet. The infamous villain Moriarty is played by a pie mascot who likes abducting and smashing gnomes, purely to spite his nemesis Sherlock. 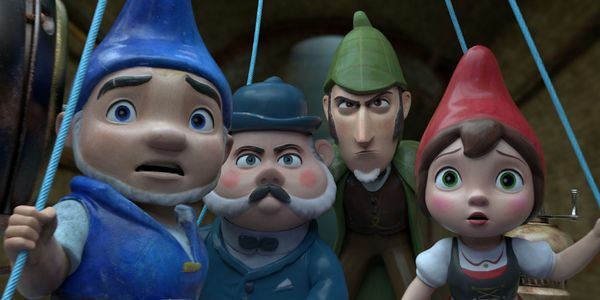 Sherlock, accompanied by Watson, Gnomeo and Juliet, must then race across all over London to find and solve the clues to lead them to the kidnapped gnomes. This bizarre plot is both unfamiliar and very random, but it must be hard to come up with high stakes when your characters are made of clay. The animation is serviceable but nothing special considering the astonishing detail in Pixar’s animation. The music is predictably pleasant and upbeat, considering the film was produced by Elton John’sproduction company. As voice talent, Blunt and McAvoy are trying their best as Gnomeo and Juliet, it’s just a shame that the material doesn’t deserve it. They nail their bossy, independent woman and needy, romantic husband roles, respectively, even though the feud between them feels inauthentic. Michael Caine and Maggie Smith’s talents are sadly unused here as the patriarch and matriarch of the gnomes. Comedian Jamie Demetriou is one of the few excellent parts of this movie, finding fun in the ridiculousness of Moriarty’s character. However, the decision to cast Johnny Depp in the titular role is both inappropriate and unnecessary. Domestic violence allegations aside, he’s simply not good in this, employing a snooty posh accent that anyone could do. With greats like Basil Rathbone, Benedict Cumberbatch, Robert Downey Jr and Peter Cushing having taken on the role, these are big shoes to fill and Johnny Depp doesn’t even get close. The film is clearly influenced by better films like the Toy Story trilogy, and confuses paying homage to them with ripping them off. The characters wander around the city, coming up with innovative ways to get around undetected. They run into other figurines at a toy store. Is this Toy Story 2? No? My mistake. Basically, the trope of tiny humanoid figurine trying to survive in the city is tired and overdone. The Toy Story franchise, Stuart Little, Bee Movie, Ratatouille; many movies have done it before and done it better. Some children’s movies can be enjoyed by the whole family. This is not one of them. The tired, uninspiring and convoluted story means that its unlikely to sustain even the kids’ attention. Do yourself a favour, and go re-watch a Pixar movie. What is your favourite Sherlock Holmes adaptation? Sherlock Gnomes is out in the UK and Ireland on the 11th of May.